Get Your Biofuel Project Funded! What Are Biofuels and How Do They Work? Biofuel is a type of fuel that derives energy from biological carbon fixation. Biofuels include fuels created from biomass conversion, as well as solid biomass, liquid fuels and various biogases. They are gaining increased public and scientific attention, driven by factors such as oil price hikes, the need for increased energy security, concern over greenhouse gas emissions from fossil fuels, and support from government subsidies. 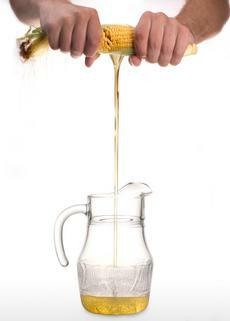 'First-generation' or conventional biofuels are biofuels made from sugar, starch, and vegetable oil. They comprise: bioalcohols, biodiesel, green diesel, vegetable oil, bioethers, biogas, syngas, and solid biofuels. Second generation biofuels are biofuels produced from sustainable feedstock. There are numerous second generation biofuels are under development. 2) no special accommodations or arrangements need to be added on to a funding arrangement involving biomass. The best case scenario is if you (as project promoter/owner) have an off-take agreement (agreement in which a third party that has signed a contract guaranteeing that they will be buying the promoter's output for a certain length of time in the future right from the start. Why? Because for investors it is a guarantee of return on their investment, not to mention that it is also a steady guaranteed payment on the debt of the equipment due to the fact that the energy produced is sold over the long term (thus, there is a guaranteed income). So what are you waiting for? Fill out our contact form and let's see what we can do together! What you will also need is a presentation report, and be sure to include the technology you will use in your Business Plan. What can often be the (only) tricky part of funding a biofuel project is assessing the technology that will be used to produce this energy. But solid, time-tested biofuel-producing technology exists and is often favored in these types of deals. In committing our own funds, we can help you realize your project! 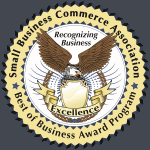 5-time Winner of Best of Business Award by the SBCA !